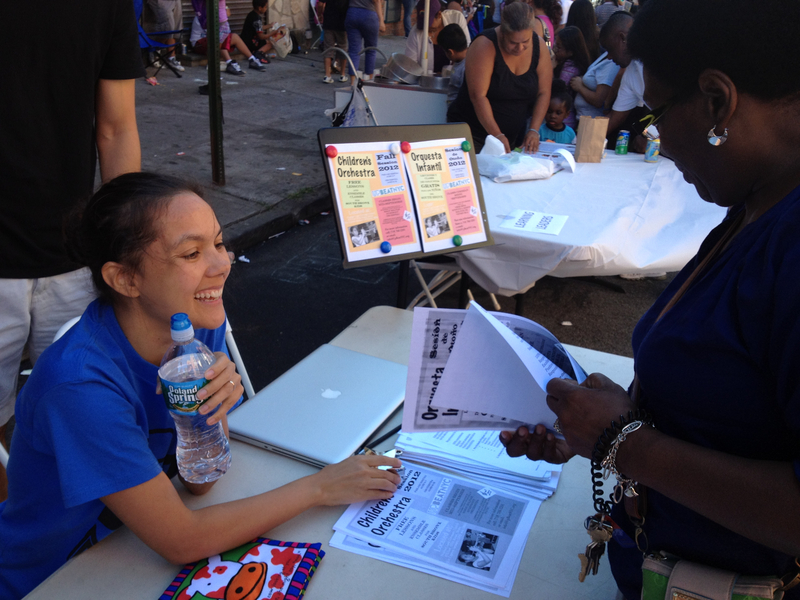 We spent last Wednesday at the BACK TO SCHOOL Block Party and school supply/backpack giveaway in Mott Haven on 141st between 3rd & Alexander. The event was hosted by Community Connections for Youth, a South Bronx based nonprofit that empowers grassroots neighborhood organizations to develop effective community-driven alternatives to incarceration for youth. As a participating organization, we were given a table and had the chance to speak with many families interested in enrolling their children in UpBeat's fall session. Thank you to CCFY and all the attending organizations and families for making this such a successful event!